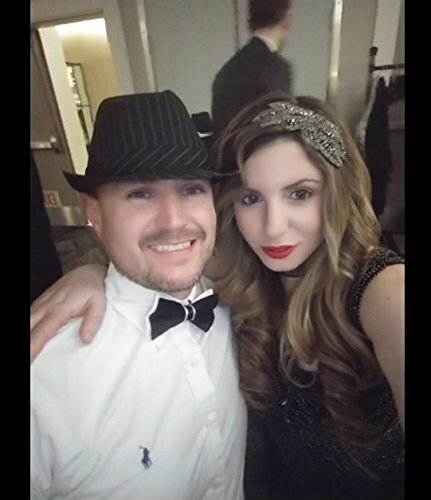 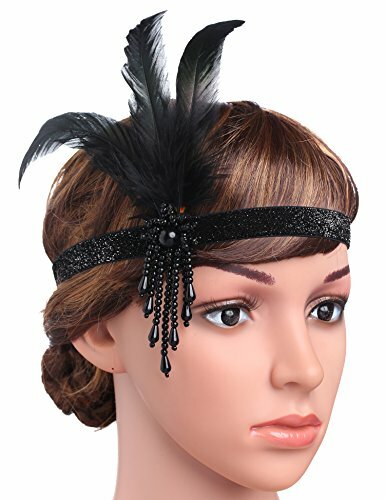 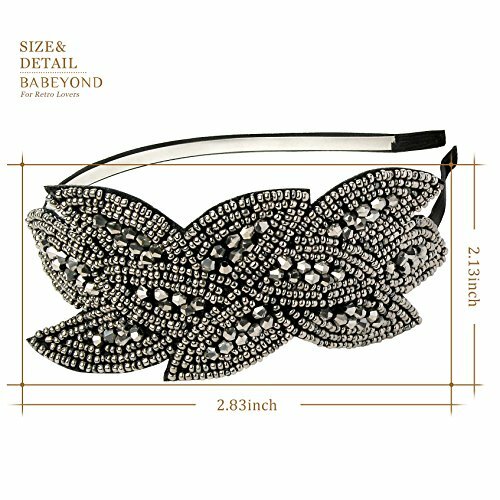 Buy BABEYOND Art Deco Headpiece Flapper Headband 1920s Headpiece Black Rhinestone Headband for Women (Black) at Discounted Prices ✓ FREE DELIVERY possible on eligible purchases. 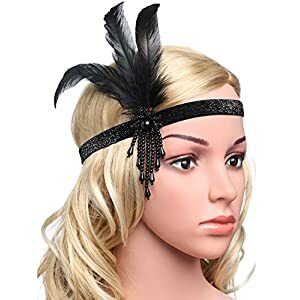 Flapper Headband Size: 2'' (5cm) Wide X 5 1/2''(14cm) Long. 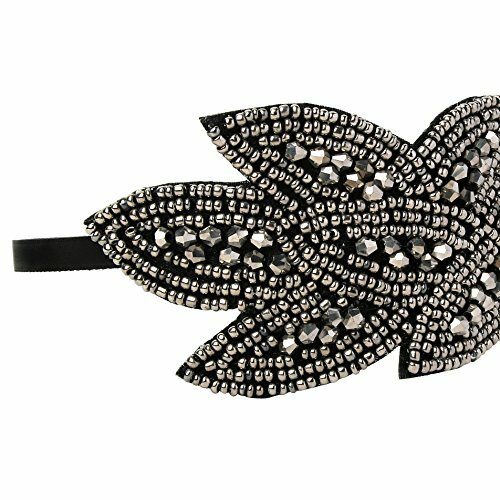 Materials: Beaded applique, French velvet ribbon. 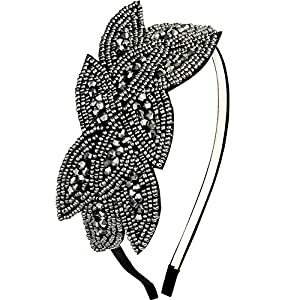 Perfect for themed parties (1920s,Gatsby,Vintage,Flapper, Downton Abbey) weddings, or prom. 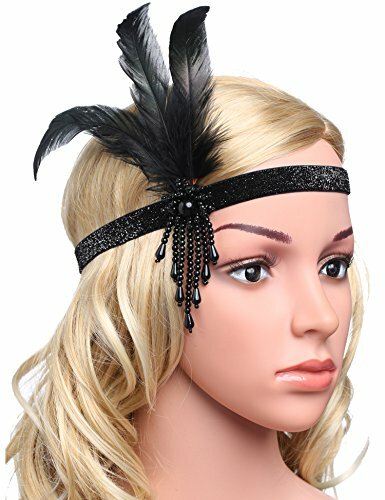 Flapper Feather Headband: 100% handmade with black beaded beads. 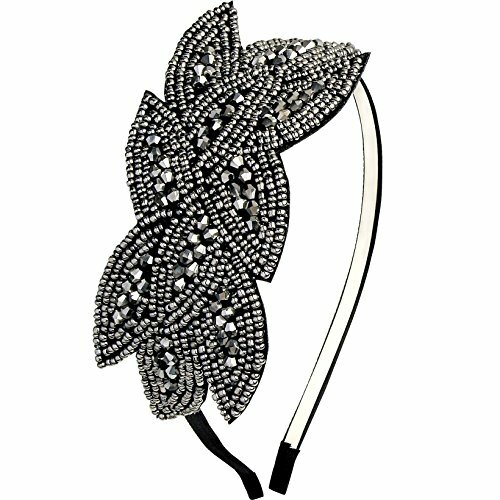 1920s Headpiece Vintage: free size, one size fits all. 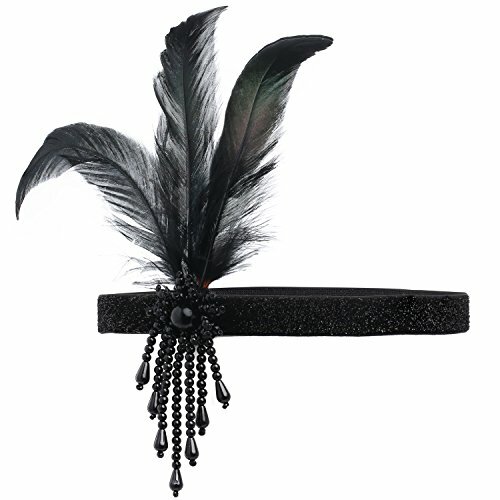 Vintage Gatsby Hair Accessories: high quality beaded sequins, and black feather. 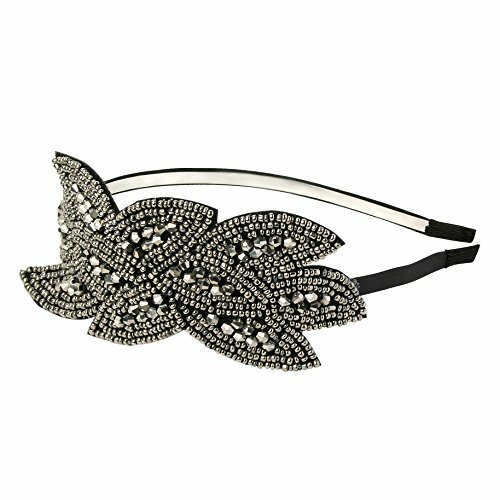 20s Beaded Headband: good for 1920s 1930s party, prom and art deco occasions.